The Babylonian exile began in 586 BCE, with the sack of Jerusalem and destruction of the Temple. 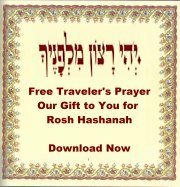 The Babylonian exile was the back drop for the Jewish holiday of Purim. In 538 BCE, the Emperor Cyrus reversed his predecessors’ policy and called upon the Jews to return to Jerusalem. Thousands returned to Jerusalem under the leadership of Ezra and construction of the new Temple began. Nehemiah, the newly appointed governor, rebuilt the city’s walls in 52 days. 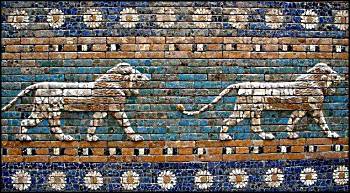 Tiles from the gates of Babylon. Photo by J. Renalias, under a Creative Commons License. Despite the new fortifications, most people preferred to live outside the city. To combat this, Nehemiah held a census and ordered every 10th family to move into the city. Under Jewish governors, Jerusalem enjoyed peace and prosperity as part of the Persian Empire, then later as part of Alexander the Great’s empire for almost 200 years. 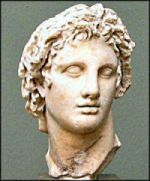 After Alexander the Great’s death, his generals warred for years, dividing up his empire. Jerusalem was conquered by Ptolemy, who ruled Egypt. 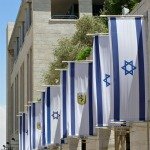 During this time, Jerusalem continued to enjoy political and religious autonomy. In 198 BCE, the Seleucids conquered Jerusalem. A period of increasing Hellenisation and internecine strife followed. In the 170’s, King Antiochus Epiphanes imposed Hellenic culture in Jerusalem, culminating with decrees that Jews abandon Judaism or die. This precipitated the Maccabean (Hasmonean) revolt, which began in 167 BCE. The revolt was successful – it is celebrated to this day by the Jewish holiday of Chanukah – but battles continued for the next 90 years. 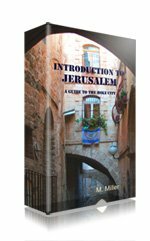 The Hasmoneans ruled Jerusalem until 63 BCE, when the Romans took over the city. The Romans ruled Israel for the next 400 years.